During the past 30 days or so, both of the big camera companies, Nikon and Canon have announced their entry into the full frame, mirrorless interchangeable lens camera (MIL) market. I wondered it this was ever going to happen! Without getting into the “white hat vs. black hat,” “Ford vs. Chevy” discussion, suffice it to say that there are a number of other players in the market, all of whom make some very estimable camera gear. But it is difficult to argue that, over the past 30-40 years, Canon and Nikon have been the market leaders. Consequently, when they do something, it usually get noticed. I got “married” to Nikon in 1980, and we had a happy relationship until sometime in 2013. I think by then, that I intuitively knew that the industry would eventually move away from the popular and ubiquitous Digital Single Lens Reflex (DSLR), to the smaller MIL. In 2013, after hanging around and watching Nikon, it became apparent that they had no intention of making a serious entry into the MIL marketplace. Their eventual contestant, the Nikon 1, offered no compatibility with the existing Nikkor lens line, and a sensor significantly smaller than the competitors and only slighly larger than the typical “point & shoot” (P&S) equipped sensor. Disappointing for Nikon loyalists. The NEX series by Sony, first introduced in 2010, signaled a commitment on their part to the MIL camera market. The earliest DSLR consumer and “prosumer” cameras were equipped with a sensor smaller than the 35mm film cross-section which was the benchmark of Single Lens Reflex (SLR) cameras that were the most popular film cameras in use at the time, popularly known as “APS” sensors (eventually, technology allowed for affordable and useable sensors equivalent to the 35mm film cross-section. These became know as “full frame.” Cost and technology were factors. The NEX line was one of only a couple mirrorless cameras that offered the APS sensor. It was still a bit of an unknown at the time and what attracted me to Sony was the sensor that was the same as the one in my Nikon APS backup camera, along with Sony’s partnership with Zeiss lenses. The “mirrorless” camera, of course, is not a new phenomena. Rangefinder cameras were widely used by film shooters, even in the light of the popularity the SLR (single lens reflex) camera gained when it later hit the scene. I was an SLR user. Like the many other users, I liked the “what you see is what you get” view through the viewfinder (even though in most cases, it wasn’t 100 percent of what the lens actually captured). But what really made/makes the new digital “rangefinder” cameras stand out, is the new electronic viewfinder (EVF). Early copies were just not very good. Today, I actually prefer the EVF. One of the things I like is its ability to mimic the look through the lens as you stop down or open up, making your view brighter or dimmer (my Sony can override that if you find it disconcerting, but I have grown to really like it). I know there are a lot of challenges to adding a new technology to very successful existing lines. Lens mounts, lenses, and focusing technology are among them. But given the inexorable growth of this camera platform, I have been surprised at the apparently sluggish progress both of the big guys have taken to this. The recently announced entries by both of them come nearly 10 years later than the first popularly used MIL cameras! I have thoroughly enjoyed the past 8 years of carrying much smaller, lighter gear in the meantime. For those who waited patiently for Nikon or Canon, there may be a reward. Both of these bodies spec out pretty impressively. For Nikon, this is only the second physically “new” mount they have designed for any of their interchangeable lenses (the only other one being the Nikon 1 mount). By that, I mean that even though there have been changes over the years, every Nikkor lens is capable of being physically mounted on every Nikon interchangeable lens body (except for the Nikon 1). Nikon has already also announce several new lenses (three of which, I believe, will be available yet in 2019) for its Entry, the Nikon Z series (currently, 6 and 7). I am not sure what offerings Canon has – or will have for their new EOS R. But both companies have adapters for their “legacy” SLR/DSLR lenses. Again, in the case of Nikon, that should mean virtually any Nikon mount lens should mount on the Z series with this adaptor. Of course, there is certain to be limits on functionality, depending on the age of the lens. Not being familiar with Canon, I am not certain, but I am guessing there will be more limitations on which lenses will mount and which won’t. But you should be able to use your professional glass on either of these models. “Fake” photographs. Famous Wildlife and Landscape photographer, Art Wolfe found himself in some controversy some years back with the cover of his book “Migrations,” where zebras were digitally pasted or blended (“photoshopped”) into a photograph. The thing is, he and this kind of thing is not unique (nor, in my mind, is there necessarily anything nefarious about it in the correct context). These incidents, when they occur, re-ignite the long-lived debate about “truth in photography.” Few viewers, would find my image of Eagle Nest Lake plausible. It would be the first ever spotting of a whale breaching in a New Mexico mountain lake (really more of a pond, by Great Lakes’ standards). And the scale of the balloon isn’t really believable. This composite was made from 3 images, made years apart, with different media. I did it for fun. Just to be clear, this post is all about manipulation, implausible edits and, for lack of a better term, “photoshopped” imagery. I recently purchased and downloaded ON1 Photo Raw 2018, and have been scrabbling up the learning curve on this software. A part of the software that has intrigued me is its “Layers” module. I had read about it and intended to experiment on my older copy of the software ((formerly called “OnOne Perfect Layers”). One of the things I like about the ON1 folks is that they have provided plenty of online content (lots of U-tube videos) on techniques and examples, and one the them which piqued my interest was the ability to composite using their layers module. Of course this is not really something new. Photoshop has had layers for many versions, and compositing is commonly done using the Photoshop software. What I was curious about, though, was whether ON1 made it easier. I think it does (though PS CC keeps adding things and getting better and I know there is an algorithm in the newest update that allows for easier mask – selection for “fiddly” subjects). The “Perfect Brush” feature in ON1 Layer’s masking brush, is really pretty cool. It makes masking a relatively clean object really easy as it selectively chooses the pixels around the edge of the object and paints them only, without getting into the object itself. On more detailed subjects, its utility is not as readily apparent, but I have been fooling around with blending modes, and in some cases, that seems to help (unfortunately, due to some technical issues, the ON1 experiment was ultimately a bust for me and I obtained a refund). Since last week, I have acquired ON1’s newest offering: ON1 Photo RAW 2018. A version or two back, the ON1 folks moved from their “Suite” Of layers and effects, to a raw converter suite, which competes with Lightroom, Photoshop, Capture One, and the like. The “develop” module in ON1 Photo Raw allows for essentially the same basic raw adjustments as Lightroom and Photoshop’s ACR (Adobe Camera Raw), as far as I can see (Capture One offered me its suite a couple years back at no cost as some kind of deal they have with Sony for Sony camera users – while I have played a little with it, I was too lazy to try to learn a new interface at the time, but I suspect the raw conversion there also has a lot in common with these other programs). For the Moment, one thing ON1 offers, is the ability to purchase and own standalone software, where Adobe has essentially now moved entirely the cloud-based model. There were a lot of us in the beginning that were very wary of the online model. Some of us still have some misgivings, though I will say I have been using Photoshop CC for a couple years now and really haven’t found a problem with it – yet. I do like the periodic upgrades they push through from time to time, and I find that it generally works pretty smoothly, even with my low RAM Microsoft Surface, when I am not able to work on my desktop PC. ON1 is seeming to bring the best of both worlds to entice Adobe users. It intelligently loads (if selected) as a plug-in to both Lightroom and Photoshop, and the process of moving between the software is “relatively” seamless. I say relatively, because some of the layer-based files can be tricky and it takes a bit of a learning curve to understand what is going on (a curve, I will readily confess, I am at the very low left end of 🙂 ). The other thing that intrigues me is the ON1 browser/cataloging capability. I have used LR for cataloging only for the most part. I may look at migrating that function to the ON1 software. But that is another topic for another time. I wanted to play with the ON1 software, primarily for B&W images, but I can see that I will be working some with other aspects of my color images in the software. But for now, the images here were made using some of their templates, and one with my own conversion. The Venice Canal is the canal where we stayed for our 5 days in Venice in September, 2017. My buddy and traveling companion, Paul, saw the color version of this image and thought he might like a B&W Print. So I thought I would play with it, using a couple of the “templates” that are built into ON1’s Black and White conversion process. I used their masking process to “paint” in some texture and detail in a couple areas and to paint areas lighter and darker. Otherwise, they are just two different templates. The second image adds a little “warming” color, which still retaining the monochrome overall image. I am not sure which one I like, though I tend to lean toward the more dramatic and stark B&W in all these images. One of my goals in the Navy Ship image was to work a bit with the color channels to see how they affect the image look. Most of the color version here is pretty much a neutral or slightly darker gray. But there were a couple of red objects, and on part of the ship on the bow that was bright green. I fiddled with the sliders a bit to brighten those colors for some contrast to the otherwise gray. I also darkened the water a bit. This pre-set template I used here is called “Paparazzi” and it reminded me of some of the B&W images I made back when shooting for our college newspaper many years ago. The second version is one I actually made first, using NIK Silver Efx in Photoshop. In this case, I really preferred the ON1 version above. I suspect that with enough knowledge, I could achieve essentially similar results in either program. But I am warming to the ON1 software and process as I continue to use it. The “D.H. Day Barn,” in Glen Haven, Michigan is just off the coast of Lake Michigan. 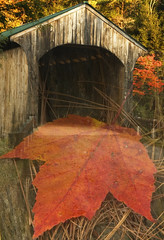 I spent a couple hours here one autumn afternoon, intending to photograph the barns in front of a wash of fall color. The color was nice, but not spectacular. But there was a lot of color in the foliage to the right side of the image. I also like the repetition of these barns which get physically small, and recede in the distance as well. This is one of the few images I have made in the past couple years that I thought would render well as a B&W image someday. I worked this image in ON1, using the “develop” and then “effects” modules from a raw image. After adjustments to contrast mainly (I used the “dynamic contrast” filter), I converted this to B&W. The ON1 effects module uses layers (much like the adjustment layers process in Photoshop CC) to add these “filters.” Each layer has a lot of individual adjustment capability within it, and there is a great masking brush set of tools to achieve local adjustments (I am being repetitive, here, but I am just beginning to understand the potential of this software and trying to compare and contrast how it matches up to Photoshop. But I see myself using both softwares for the future). I wanted to do my own conversion here, rather than using a pre-set template. My goals were to bring out the color contrasts in the sunlit area; build a little drama in the sky, preserve and highlight the white barns, contrasting against the black roofs, and enhance the texture and brightness of the grasses in the foreground. I feel like I succeeded in all but the last, in the ON1 program. I am sure I could have accomplished that too, with a little added knowledge and experience in the ON1 program. But I have to catch a plane in a couple hours to head back to the frozen tundra of Michigan :-). So I got a little lazy, and to the image back into Photoshop and my trusty NIK suite, adding some brightness and structure to the grass. I am new at this. Be gentle 🙂 . But I was pretty pleased with the result. Lots to learn and looking forward to more experimentation with this stuff. As always, thanks for reading. There should be little doubt to the reader here that I have hit a bit of a dry spell when it comes to both topics and photography. 🙂 We have had a very mild winter here (so far) and the part of Michigan I live in is pretty flat, and pretty brown this time of year. It is also cold. That creates an atmosphere in which it is difficult to get motivated to go out and shoot. Gear is a funny thing. It is a part of every photographer’s evolution from a beginning shooter forward. At some point we fall in love with gear and begin to think it is going to make us a better photographer. Eventually we learn that it doesn’t really do that at all. We buy cheap gear because we cannot afford the real high quality stuff in many instances. Then we look back and realize that we spent at least as much on the different iterations of cheap gear as we would have spent on the quality gear in the first place (this is especially true of lenses and tripods). And then there is the evolution of gear. My starting point was a 35mm SLR film camera with a turn-hand winder, and without a built in light meter. Today I carry the physical equivalent of a P&S for 90% of my shooting. But in between ……. 🙂 wow. Reviewing a couple old posts, I had to laugh. In 2011, I waxed philosophical about “less is more” [“In the Bag” (getting ready for Spring)]. At the end of that blog, I listed the gear in my “bag” in 2011. LOL. All in, that was about 15 lbs of gear (not to mention the bulk of schlepping that stuff around). My point, though, is that photograpers and technology both evolve. The RX100iv was not in existence in 2011 and there was simply no equivalent (the RX100 debutted in June 2012, but it was not even close to the camera the later iterations — especially the III, IV and V — were). At the same time, the more I traveled the less pleasure I found in lugging all that gear around. It is a lot of trouble in most cases. I have to confess that I still keep my Sony a7 DSLR-like body, a couple of lenses, and a larger carbon fiber tripod, which I use for “dedicated” photography outings. I am still able to fit the body and lenses in a carryon bag, and the Sirui 3204x tripod, with a folded length of 20 inches, fits rather easily in a checked bag (I have also carried it on in a carry-on size suiter suitcase). Even that gear weighs about 1/2 of the 2011 bag. “Gear Stuff” – a comparison between Large and Small Cameras. Equipment that is better for me is not necessarily better for another photographer. One of my good friends, Phil Dolinger, is a sports photographer. He wouldn’t use my gear. It just wouldn’t work for him. It is the wrong tool. I could use his gear (Phil, if you give it to me, I will use it 🙂 ). But I don’t need his gear. I travel and I most often shoot cooperative (“still”) subjects. Usually, I can get closer using my feet. So I can work with smaller lenses and smaller cameras. Before I go further, I guess I need to consider what I mean by “large” and small.” For many of the years I have been shooting, in my thinking, really large cameras were view cameras. They use sheets of film, often as large as 8 x 10 inches. Large cameras were the various iterations of the so-called, “Medium Format” (MF) camera, which shot film rectangle sizes of generally between 6 x 4.5 and 6 x 8 inches. While these cameras certainly were capable of capturing tremendous detail, the were often fiddly, expensive to operate, heavy, and required accessories. There is a reason you never see a view camera on the sidelines on NFL Sunday. View cameras and often, larger MF cameras required the use of a large and sturdy tripod. Probably the most ubiquitous camera over the last 40 years has been the 35mm Single Lens Reflex (SLR) camera. The vast majority of shooters, pro and serious amateur alike, used these cameras. Though their film square was a mere 35mm diagonal, they were a very acceptable compromise of film, a wide variety of interchangeable lenses, adjustability of shutter speed and aperture. Their main advantage was their diversity and portability. A variation the SLR is the so-called viewfinder camera. Most of them used 35mm film and they were, more often than not, used by pro’s who needed portability and sometimes anonymity. Or, often because they just preferred them. Since my acquisition of the Sony RX100 small camera, I now understand why. I have always thought the term “full frame” was kind of self-serving. It refers to 35mm. All those shooters shooting various medium format and larger format cameras have to be saying “really? Full Frame? You are gonna go with that? And then there are “small” cameras. Those are essentially anything smaller than an SLR, in my thinking (obviously, it’s all relative). We have, over the years, come to calling them “point and shoot” (P&S) cameras. This perhaps pejorative name is less based on their capability than their intended market. These were everyday, snapshooter, often inexpensive, and generally, limited systems. They didn’t have to be. I once carried an Olympus “pocket” camera that made some very high quality images. Some used 35mm film, some even smaller film. Generally, a “serious” photographer did not carry one of these “small” cameras as their primary gear. In the past 5 years, that has (at least for me and perhaps a couple others I know) has all changed. Again, the gear and tools analogy holds here. The reason 35mm SLR cameras were so popular was their versatility. You don’t see many view-cameras and black cloths setting up for sports or wildlife shooting. And you never see one of those being hand held on a crowded city street. Not only are the images upside-down on the viewing screen, but it is really difficult to move the camera and focus it. Another reason, of course, is the ability to manufacture and offer SLR style bodies at a price that can be afforded by consumers. But things have changed. And oh, how they have changed! Film and digital capture sensors are both, without doubt, physical science. But the technology surrounding the physical science just gets better and better, and put in the context of our own empirical experience, unbelievable. Things like Fuji’s “Foveon” sensors, and the newer “stacked sensor” technology championed by Sony, has given us the advancement to create high image quality digital capture with very physically small sensors. So much so, that it is becoming really difficult to differentiate an image captured by a small camera and one captured by a large camera. I need to qualify this. On paper, there is still no comparison between the image quality rendered by a large digital sensor and a small one. The larger one will yield measurably better results. “Measurably” is the key. The practice of magnifying the images to 100% and looking at the individual pixels is often referred to as “pixel-peeping.” I won’t argue that difference is remarkable. But I don’t know that I really care. For me the objective has always been display of my images in a format that viewers can enjoy. And though more and more, digital display has become the benchmark, I still think in terms of the relatively large photographic print. So, when I am able to take a small sensor image and make a good quality print at 24″ x 36″, I have obtained the results I seek. I have a couple such prints that are indistinguishable to my eye from similar prints made from my “full-frame” (35mm equivalent) camera. The practice of magnifying the images to 100% and looking at the individual pixels is often referred to as “pixel-peeping.” I won’t argue that difference is remarkable. But I don’t know that I really care. On my recent trip to Newport, Rhode Island, I carried the small, Sony RX100iv in my pocket the entire time I was shooting. I have started to use it to frame up images and take test shots while setting up the full-frame a7 on the tripod. What has continued to amaze me is that I find it difficult to meaningfully distinguish images shot with it and the a7. And these days, my small camera images are mostly handheld. The first Castle Hill Lighthouse shot here was made with the a7 and a 70-200 lens. after making a few shots with the R100, I waited for the “golden” light to make the a7 shot. The only real difference I can see is the light and color of the image. As far as the image quality, I really cannot see a difference. I am confident that I could print from either digital file as large as I would ever want a print to be for hanging. (NOTE: when I wrote the first draft of this, I said “Sure, it is not going to make a billboard image, but I haven’t shot one of those yet 🙂 ” )Recently, I sold an image made with my full frame Nikon DSLR that was used as a billboard sized panoramic images in an Interstate Welcome Center. Perhaps the RX100 would have shown its weakness there 🙂 . I have used the RX100iv exclusively as my travel camera, to some pretty amazing places. I have surprised myself that I have foregone carrying the more “serious” equipment. As well, I have been surprised that I haven’t missed it and have brought home some pretty good images (IQ-wise, at least. I’ll let the viewer judge whether they are “good” images or not). Every image here, except the first one, were made with the Sony RX100iv. I believe the quality of smaller sensors has gotten so good that I told my buddy, Rich on our trip that if I ever replace the a7, I will most likely move back the NEX (now badged “Alpha 0000”) series of cameras. While using an APS sensor in lieu of the 35mm equivalent, they — and their matching lenses — are smaller, lighter, and generally less expensive. But with pretty estimable image quality capability. I like all those things. The RX100iv, is not a casual user’s camera – it is a serious photographer’s tool. That’s not to say a number of P&Sers won’t buy, and effectively use it. But if you are going to set it on the “auto,” or “scene” setting and shoot away, and/or posting images only online, you will be wasting 90% of the camera’s potential; and leaving a lot of money on the table. Some of you may have read about my “saga” of equipment during the past couple years. For those who haven’t, I’ll briefly recap, as I believe it puts this review in perspective. I started photography, shooting slide film with an all-manual, SLR back in 1976. I have since, advanced through a number of iterations of SLR and eventually DSLR cameras (“upgrades”? ), have studied photography, and made a pretty serious run at it as a hobby. For most of my shooting time, I have been a Nikon owner (which is not a black vs. white commentary, but perhaps shows a level of seriousness), shooting their very good cameras and lenses, including a number of “pro” designated lenses and bodies. Sometime during late 2012 and early 2013, I decided to trade my “backup” Nikon D7000 for one of Sony’s “MILS” (mirrorless interchangeable lens) cameras. The series was the “NEX” line (now re-badged as the “Alpha” x000 series), and was often found in stores like Best Buy and Staples, in the lowered-numbered iterations. The higher numbered NEX-6 and 7, though, were formidable cameras, with viewfinders and all of the “bells and whistles” you find on the modern higher-end DSLR cameras. Other than the limitation of the APS sensor size, the one “knock” on these cameras was the lack of “good” lenses. That was not my own experience. Not only did some of the Sony lenses perform very well, but Sigma made a pair of very cheap lenses that were extremely small, sharp and affordable. But the real draw was Carl Zeiss. Sony and Zeiss have developed a partnership and lenses are now manufactured for by Sony with Zeiss specs (and badged Sony/Zeiss). Zeiss also has manufactured lenses for the Sony line of camera, on its own. The best of these lenses were prime, very fast (f1.8 – 2.8 range) and rendered some wonderful, contrasty images with great bokeh. Then, Sony announced its Full Frame a7 series and for me the rest was history. A chunky body which reminds of a very small SLR, and still relatively large lenses, this combo is still smaller and lighter than my older Nikon SLR, and the advances in technology are pretty great. My primary camera is the a7. My “backup” and walk-around was the NEX-6. But I am always looking at “new and improved.” And small is good. My a7 default rig is the a7 plus a Carl Zeiss f4 24-70 zoom lens. The quality I get from this out fit is certainly second to none. But it is still big and heavy compared to some of the more “portable” choices out there. I am not sure where or how it captured my attention, but sometime during this past winter, I “noticed” the fourth generation of this little camera, the RX100iv. At the time, I didn’t know about the prior generations (i and ii did not have the same lens and earlier-design sensors and less features, and iii had the same lens, but still not the advanced sensor of the iv). What first grabbed my attention was the built-in Carl Zeiss f1.8-2.8 zoom lens. I wondered how it might compare to other Zeiss offerings for Sony. DPreview, and other resources, said: “favorably.” Then I began to look at the other features of the camera. Sony is (in my mind) a developing camera company (as compared with, for example, Canon and Nikon). In that sense, as their mirrorless offerings began to take hold, they changed and “fiddled” with their menu system. For a while, each new offering had a different or changed system, which was annoying. When moving from camera to camera, being familiar with the consistent approach of a system is very useful. The NEX system was very different from the a7 (I believe the newer generation alpha 6000 – of the NEX series incorporates Sony’s newer, current, menu system). The RX100 has an almost identical menu interface to the a7. Note that the lens, a Carl Zeiss f1.8 24-70 zoom was first installed on the iii version of this camera. From what I can see, the primary differences between version iii and iv are the “stacked sensor” (more later), an electronic shutter, more resolution (3840 x 2160 vs. the iii’s 1920 x 1080), faster continuous drive (essentially, a non-issue for this type of camera in my opinion), and a negative, shorter battery life. Many of the improvements seem to favor videographers. I haven’t gone there at all, so I cannot comment on this camera as a video tool. But the RX100iii is about $150 less than the iv. This might be a factor for some with a budget in mind. I would think you would get a pretty good camera in the RX100iii. About the same time I was looking, my mentor from NOLA e-mailed me that he had acquired one of these cameras and he was duly impressed. I decided it was time to make another “leap of faith.” I boxed up the NEX-6, some lenses, etc., and made an essentially even “trade” for the RX100iv. My thinking was that if I was disappointed, I could still get back to the a6000 without a 2nd mortgage. I did do a “preliminary” review on this camera shortly after I acquired it, promising a more in depth review. Size. There is no getting around it; this is a P&S sized camera. The body on this diminutive camera is a mere 4” long x 2 ¼ high by 1” deep. The “lens bump” on the front adds an addition 5/8 inch, being the only thing keeping it from being a true miniature pocket camera. But pocketable it is! I have carried it in my shirt pocket, my front pants pocket, or in the cargo pocket when available. It would be a tight fit in jeans, but in looser fitting pants (I wear Columbia pants in the field), it fits well. One thing that clearly distinguishes it from the field is its weight. Mine weighs 10.7 ounces, which equals a fair amount of “heft” — but not uncomfortably so, in my view. It appears to be all or mostly metal construction and built for durability. It feels good in the hand (though I did purchase Sony’s additional stick-on hand grip for the lower right part of the body). My hands are medium-large and it gives me a feeling of added security when carrying the camera in my right hand. It is a matter of preference. I think you could do fine with out). The RX100iv is a P&S camera in physical form only! It’s Inconspicous. To me this is very exciting and important. Here is a camera that is tiny enough to pack anywhere and carry and has the potential to make near-DSLR quality images. In addition to the fact that it is very small and light (maybe even the difference between an extra carry-on or not for airline travel); it is also very inconspicuous. When shooting with a group of photographers in a National Park, that is probably not much of a factor. But in travel situations, cities, and faster moving groups, it becomes a pretty big deal. I am generally able to move around and shoot as I wish, and I am just “another tourist.” People do not instinctively “freeze up” when they see it (if they see it). This is a phenomenon I never appreciated until my pro friend and mentor suggested that it would be an advantage (in fact, he has a funny story where a shooter with all the “big dog” gear, kind of disdainfully tried to “shoe” him away so she could get her shot – having no idea that this guy is a life-long pro, trained photojournalist, who has shot international music acts, books, and sells substantial stock photos, and likely could have taught her a thing or two about phography). In the final analysis, any serious photographer (at least in my own view) should be choosing her or his tools based on one primary feature: image quality. Perhaps said another way, a camera with all the bells and whistles which produces poor image quality, is a non-starter. While my remarks below may read to some as at least mildly critical, I want to emphasize that overall, I find this to be a fine camera, worthy of carry, and I plan to keep and use it as a “workhorse” for a long time to come. I believe “image quality” is a relative term. If I am making poster sized, fine art, landscape prints, my “need” for IQ might be different than if I am going to post online. I don’t have unrealistic expectations (at least not currently) of using the RX100 for this kind of image (edit: I drafted this before actually making some prints. I have made a couple 13″ x 19″ prints now on my Epson Printer that rival anything I have made from larger sensor cameras). But I do want to be able to make a large print if I make an image I like well enough. When I first got the camera, I made some closeup flower images and printed one on my Epson printer at 13” x 19” and was impressed with the print – IQ. Enough so, that I opted to carry only this body on my trip to Japan. Overall Quality. I will leave the technical stuff to DPreview, Wilhelm Imaging Research, and the pixel peepers on line. My reviews are always intended to be more empirical, hands-on, “will this work for you,” kind of judgments. In that respect, the answer is a qualified “yes.” On a scale of Poor to Excellent, I would judge the IQ rendered by this sensor as good, leaning toward the “excellent” range on the scale. It is not as good as, for example, the Zeiss 24mm f1.8 prime lens on my NEX-6 was. But it is close enough for the intended use. Most of the imagery made by me with this type of body does not call for closeups, bokeh, etc. I am shooting cityscapes, buildings, etc., and when conditions warrant, shooting around f8 at low (100 – 125) ISO ranges. I should note that I capture raw images 99.99% of the time. I set my in-camera settings to be totally neutral on every digital body I own. When I first purchased the RX100iv, Adobe had not yet released an ACR version that would render the raw capture files from this camera. So in the beginning, I set it to shoot both raw and Jpeg images, so I could see and work with them in Photoshop. I did briefly use Capture One to render the raw images, but the new workflow was more than I wanted to learn, so I was glad that Adobe shortly upgraded ACR to include the newest Sony raw file format. Anyway, I cannot really comment on any of the settings for jpegs in the camera. The jpegs I used seemed clean, sharp, contrasty, had good dynamic range, and seemed true to exposure settings I made. Sharpness. I will give this camera an A- / – B+ for critical sharpness. As most readers probably already know, with digital capture, sharpness can be affected by a combination of factors. Aside from the human factors (shake, shutter speed, etc. ), the two that primarily affect sharpness in digital capture are the lens and the anti-aliasing filter on the sensor. I don’t know which combination here affects the imagery the most, but I have been mildly disappointed here. It is rarely an issue, but occasionally I have seen a lack of sharpness in some images. I use AF almost exclusively and I am aware that it could be my specific copy of the camera. It is also a zoom lens. I may just have too high expectations after shooting with the a7 and the NEX-6/Zeiss prime combination, but it is a Sony-Zeiss designed lens and I expected more. I am not saying it is unacceptable by any stretch. It is, to me, comparable to the results I used to get with my Nikon D200 and the 28-200 f3.5-5.6 zoom lens. I can (and will) certainly live with it (and as you see, my “grade” is really not that bad). Sensor. Sensor size will always influence IQ, in my view. The larger the sensor (with other technical factors being correctly done – and nobody does it better than Sony) — the better the potential IQ. Larger sensors tend to have less noise issues and capture more detail and dynamic range. Lots of reasons for this – I’ll let the experts explain it. Sony has done something interesting with this camera. At one inch, the sensor is significantly larger than most P&S camera sensors, but still small than APS. On the iv generation, they have introduced their “stacked sensor” technology. This has moved some of the essential “computing” technology off of the primary capture sensor to another stacked chip. I cannot begin to explain this, but they do a pretty clear job in the DPreview piece on this camera. Bokeh. One of the challenges to small camera construction is that sensors are smaller, physical lens apertures are smaller, and this affects bokeh. It is much easier to get smooth, creamy, out of focus backgrounds with a wide-open (f1.8 or 2.8) on a full frame or larger sensor with a big lens. I had hoped that the ultra-small lens at f1.8 would get close to the larger a7 – f4 Zeiss 24-70 combo. Not quite. For those really impressive closeup shots, I am probably going to stay with my full frame camera. But for most purposes, this isn’t an issue. The general shooting I have done has rendered very nice imagery. The daffodil shot below is exemplary of what the RX100iv is capable of. IQ Conclusion. These comments aren’t meant to discourage a potential acquisition of this camera. For several years, I shot with a Nikon DSLR APS sensor camera and their “consumer” 80-200 zoom lens. I have many very good images from that combination. The IQ from the Sony RX100iv easily matches that IQ. Don’t let any comment above stop you from acquiring this camera. The numerous images I have put on my website should convince you that there is huge “bang for the buck” in this camera. One other thing I didn’t mention – the quality and sharpness appears to be very consistently good throughout the entire range of the zoom lens. Have I mentioned that this camera is Small? For some, this might be a factor. But in this day of cell phone cameras, I doubt it will be anything but an advantage for most of us. I love the portability. This camera fits in a pocket, a purse (or “man bag”), a small backpack pocket, or a briefcase. This means you will carry it and if you carry it, you will use it. Viewfinder. I grew up in a viewfinder world. Starting with waist-level finders and quickly graduating to wysiwyg, pentaprism finders, my first 30 years of photography involved seeing through the viewfinder. Though I occasionally find the LCD screen useful, I “see” photographically when I have a view finder. So for me, a viewfinder is a must have option. Sony has done this very cleverly. There is a pop-up viewfinder. It is a bit cumbersome, but you get used to it quickly. When you pop it up, it turns on the camera, and the default is that when you retract it, it turns the camera back off, though that can be turned off in the menu system (this was a complaint in the iii iteration and I understand that a firmware upgrade has now given iii owners the option to turn it off too). In order to recess back into the housing, Sony has engineered a pull out/pushback part to this finder. In order to retract it back into the camera, you must push it back. I haven’t had any issue with this, but it might be possible to break it by trying to force it down without pushing the optical part back in. This is probably the camera’s weakest point, mechanically. I have always been pretty careful with my gear (when you spend big dollars it makes you more careful 🙂 ). When you pop it up, if you bring it to your eye without pulling it out, you will get a blurry view. This is probably the camera’s weakest mechanical link. For RXiii users (and the default behavior for the RXiv), when you clicked the viewfinder back into the body, it shut the camera down. I read some complaints that Sony didn’t make this a user changeable feature. Apparently, they listened, and the RXiv can be set to either shut down or stay on (and there may be a firmware upgrade that adds this feature for RXiii users). There is a slider adjustment on the viewfinder to focus the finder. It is one of my “niggles” with the design/construction. This slider moves easily in use, and I find myself having to constantly re-adjust it. I wish there were some kind of click stop for it. The viewfinder is, like all of the Sony MILS viewfinders, an electronic finder. This used to be a negative feature on digital P&S and mirrorless cameras. They looked like a grainy, B&W video cam screen and weren’t well integrated with the lens. Sony has not only fixed that, but in my opinion, has actually improved on the pentaprism viewfinder found in SLR/DSLR cameras. One really cool feature (when turned on in the menu system), is a kind of “real time” exposure view. As you adjust aperture and/or shutter speed, you can see the image in the viewfinder darken and lighten. Focus integration is instant. This is a very nicely integrated piece of technology by Sony. On my recent trip to the Mediterranean, I picked up my travel companion’s Nikon DSLR to take an image of them as a couple and immediately noticed that the viewfinder wasn’t changing as I made adjustments. I have grown to like this feature on all my Sony cameras. Controls. The controls are similar to the a7, but a bit less handy for the traditional dial style camera. There is one dial on top which changes the shooting mode. I generally leave it on A mode (occasionally on M). I would like to see that dial dedicated to something more useful, like changing aperture or shutter speed. Lens Ring. The RX100 has a nice, knurled lens ring. That ring can be set to use as a focusing ring for MF, a zoom ring (I use the electronic zoom on the shutter button) or – depending on which shooting mode you are using, to change aperture (A and M), or shutter speed (S). Another “niggle” I have with Sony is that this knurled ring (while smooth in use) turns too easily at the touch, and I find myself having to re-set my set aperture more often than I would like. I have gotten into the habit of checking that as I bring the camera up to my eye. But to my way of thinking, I shouldn’t need to be worrying about that. Settings should be, well, “set,” until I change them. Maybe more damping, or even a click stop might serve this well. Rocker Dial. There is the traditional “joy-stick” rocker-dial on the back which makes other settings in those modes. It is generally well placed and damped and I haven’t had any issue with accidentally changing things with it when shooting (it is possible, if you carry the camera at your waist one-handed with your right hand, to move that dial, however). There are also dedicated and programmable function buttons. The Sony menu system has begun to be more consistent, and it is very similar to the system on my a7 (and on the alpha x000 series). A review of that is beyond the scope of this review and others have done it well already. LCD Screen. The RX100iv has a very nice, articulating, 3” diagonal LDC screen. It is hi resolution and reasonably useable even in sunny conditions (though I rarely use it). I recommend only 4 accessories for this camera. One of them is a screen protector. This camera is going to get scratched up, particularly if you pocket it. The screen protector is a worthwhile investment (the other two are a small arca swiss plate for tripod use, a remote trigger, and the hand-grip, whose mileage may vary). Flash. The RX100iv has a popup flash. Like most P&S flashes, it has limited utility and strength, as well as being mounted on the body, causing the probability of red-eye. I have not looked into the use of external flashes, or whether it is even feasible (other than remotely triggered flashes). Tripod Use. Those who know me know I have preached and preached (and then preached some more) about the virtues of a good tripod. I carry 2; both carbon fiber and both fairly expensive (not to brag, but to point out that for the perceived utility of this accessory, really good ones are just darn expensive). There is a tripod socket on the body. I have a very small arca-swiss type dovetail plate with a small ridge on it that grips the back of the body to resist twisting. I have used the camera on a tripod and obtained results I could not have otherwise. The image of Tokyo Tower, at night, was taken from a tripod, through a hotel window. It would be impossible to do this handheld. Remotes. One disappointment for me has been Sony’s implementation of remote triggering. On the a7, I cannot use a wired remote without removing my L-plate, which essentially defeats the purpose of having an L-plate in the first place. I have had to resort to a wireless remote. They are quirky, and I struggle with getting it not to try to re-focus. But I have figured out the workaround. Now, I find that I cannot use the wireless remote on my RX100. So I carry the wired remote for that and the wireless for the a7. So much for consistency within brand. But these issues are minor, in light of the overall utility of this very small, very estimable camera. In three words: not very good. But there is good news. The batteries are quite small (much smaller than DSLR batteries), and aftermarket versions seem to be just as good as the OEM battery. So I just carry extras and keep them charged. Won’t quite get a day’s shooting in on one battery (the way I shoot). Things I would like to see in a newer software version: a battery and card “warning.” I know they are already there visually, but only if you have that screen turned on. If you are in the heat of things, its disconcerting to find the “decisive moment” and get the message “battery exhausted” or “card full,” and have your camera rendered essentially useless. Another thing that I have found disconcerting is that the battery “meter” on the back screen of the camera is not particularly accurate. Recently, I took my cam to an event and when I checked, the meter told me my battery was at least 75%. When I went to use it, I got barely 2 shots before it was down to nothing and “exhausted.” One think I have learned about these batteries. If you leave them in the camera for an extended period, they will be exhausted, regardless of what the “meter” says. Always start out with a freshly charged battery. My working gestalt when it comes to cameras is that they are a tool. At its heart, this may be as good a small “tool” as I have ever owned. The essential part of the camera is a pretty simple mechanism: it gives us the ability to expose on a sensor, and the ability to control the variables of that exposure. All of the other stuff is “bells and whistles.” We have come to take AF (autofocus) for granted, and as my eyes continue to age, I find it a necessity. I like the ability to set the camera to Aperture Priority or Shutter Speed Priority, but that is really just a convenience from the essential setting — manual. And you really cannot effective use AP or SP unless you understand how to use Manual Exposure. Like all modern digital cameras (and I really wish we had a choice to exclude much it what comes next), this camera is packed with bells and whistles for the less experienced or less sophisticated user (that’s my own view anyway). And in my opinion, if you come within this latter category, the RX100iv is way too much camera for you! It has the (apparently) requisite “Auto” and “Program Auto” settings, and within the menu, a myriad of “scene” settings. For the life of me, I don’t see what a serious shooter would ever do with those settings and thus – would rather have them gone, have a simpler menu, and more effective use of the dials. :-). I was intrigued with the panoramic feature, and during our trips had 3 or 4 opportunities to capture a panoramic shot. Since we never had time for me to set up a tripod and take the series of raw images necessary to stitch together in Photoshop later, I tried the in-camera feature, knowing I would have jpeg captures to work with. It is basically disappointing. First, it is set up only to take the image in “landscape” mode. When stitching panos, most of us take our series in “portrait” format in order to have more top and bottom to crop and work with when perspective correcting. Second, the in-camera perspective correction is almost non-existent. My images have a pronounce curvature, and would take some pretty series surgery to fix. Not anything I am willing to spend a bunch of time on. I have found some very limited usefulness for that here (illustrations in my blog in very small image sizes). If I am going to shoot a panoramic that I really want as a “keeper,” I will be taking a series of portrait-orientation shots and stitching them in PS. As much of a gadget guy as I am, I have learned that the old saying, “less is more,” is apt here. The less you have to carry, adjust, attach, care for and think about, the more you can focus on your goal of making pictures. On this camera, I have kept it to a minimum of 4 items. I put the extra grip (it is very small, like the camera, and doesn’t interfere in any way with the camera – including pocketability) on mine. That will be largely a matter of personal choice. I have an arca swiss style plate for my tripod head, and a wired remote for tripod shooting. I put a screen saver on the LCD. There are other accessories (for example, I purchased a kit to install a polarizing filter. It seems pretty “Rube Goldberg” to me and I doubt that I will use it). There are add-on “telephoto” and wide angle attachments. But the beauty of this little camera is that it is simple to use, yet has all the capability serious shooters will want to make creative images — without any accessories. It pays to remember, here, what a very good friend of mine once said about equipment. Every single piece of photographic equipment out there is a compromise. There are minor things I miss about the NEX-6. That wonderful f1.8 Zeiss lens is the biggest thing. The ability to interchange lenses might be another. While in Japan, I can identify two specific instances where I would have liked to pop a telephoto on. But only two out of several hundred images is not bad, in my view — and an acceptable compromise. There are – for sure – going to be times when “more camera” (i.e., a full frame or larger sensor and interchangeable lenses) is going to be warranted. But I have now taken over 2,000 images with my RX100iv. I am pretty well satisfied that it was a great choice for a general purpose and travel camera. I think that if you are an experienced and serious photographer who travels or has a use for a smaller format camera — this is one you should look very hard at. Last week I posted about my experience moving from the venerable Nikon SLR/DSLR family to Sony mirrorless. At the end of the post, I foreshadowed this week’s (once again, gear-centric) post. A pro – friend and mentor noted to me privately that, although we all know it’s not about the gear, it’s about making pictures (he does know – he makes very good ones – and rarely talks about what gear he used to make them), the tools we use clearly influence our shooting and our ability to capture imagery. And, there is little doubt that technology has made that process potentially better. Ironically, we had not spoken about the camera I mentioned last week (Sony’s RX100 iv, compact point and shoot). I have been looking at it on dpreview and other sources and wondering whether the talk about the image-capability of their new “exmoor” stacked sensor is just “hype.” In our private conversation shortly following my posting, he told me had had just purchased it and gave me the benefit of his early-thinking. Well, I ordered it, so you know his comments were positive. I have owned some pretty nice DSLR cameras over the years, including my current full frame sensor, Sony a7. I won’t be getting rid of that camera. It has its uses and purposes, particularly when I have a dedicated photographic outing planned. But even with the reduced load the mirrorless system has made, I still need to lug around a couple extra lenses, a tripod, and other gear. Lately, I have found myself grabbing the smaller, NEX-6 with its compact “kit” lens for daily use, keeping in the car, and on much of my travels. I have several nice lenses for the NEX-6 (including a couple Zeiss primes), but they were gathering dust. The convenience and compactness of the single camera has driven me to use it the most over the last couple years. I have done that before, with a series of P&S cameras, including a couple Nikon Coolpix models, a couple of the Canon G-series, and even a raw-capable Olympus P&S. Some were touted to be “professional” backup quality. But I never found one that produced image quality that satisfied me. They looked pretty good on screen at small size and 72ppi, but just wouldn’t hold up when made larger. And they just didn’t do well in low light situations. That, is, until the NEX-6. That camera has surpassed my highest expectations. So, when credible sources indicate that I should expect similar quality (or perhaps better?) from a compact P&S with a Carl Zeiss zoom lens, I have to take notice. The new camera arrived Friday, so I have only been able to charge it up and play with it a little. It is new enough that the current Photoshop ACR version does not yet support the raw images, so all I have to look at so far is some jpegs. Until I get raw support, I have set the camera to capture both jpg and raw, so I should be able to go back and do some comparison. Images are pretty much right out of the box. Just some minor “pre-sharpening” done in PS. What I can say is, so far, I am impressed. As the posted images show, image quality is pretty good on a computer screen. And lens bokeh is remarkable, given the physics involved. I read somewhere that f1.8 on the 1 inch sensor in the RX100 is about the equivalent to f3.5 on a full frame sensor. So, I don’t expect it to match up to a prime, Carl Zeiss f1.8 lens on my a7. But nonetheless, it is pretty nice. Of course, the only images I have made are of flowers, fairly closeup, at longer focal lenght of the lens. I need to find some cityscape or landscape to shoot at shorter lengths, and to see how the different depths of field look. Images seem to be sharp, and the AF seems to be quick and accurate. The in-camera menu system is very much the same as the system in the a7 cameras (the older NEX system was a bit different and there was always at least a brief “disconnect” when switching back and forth). For those of us who were brought up on a viewfinder (and I expect is shows our age), the pop up viewfinder is pretty cool. And it has the same “realtime” look to it as the viewfinder on my a7. For those who don’t want a viewfinder, it stays flush into the body of the camera (much like the popup flash). The rear LCD is large and clear. I have read that it is remarkably easy to read even in sun. I have ordered a screen protector for it and that may defeat this. We will see. The RX100 is clearly quality-built, mostLY metal, and fairly hefty. The last film camera I owned was an Olympus OM – something or other – point and shoot. This camera is remarkably similar in size. Smaller in both length and width than my android LG G2 phone, it is about 3 times as thick. It will easily fit in a pocket. I travel to a far-away land in a couple weeks. It will be fun to do some side by side shooting with my new “toy,” and my a7. Both will have Zeiss 24-70 lenses, so this should be as close to “apples to apples” as I can get with 2 so very different cameras.